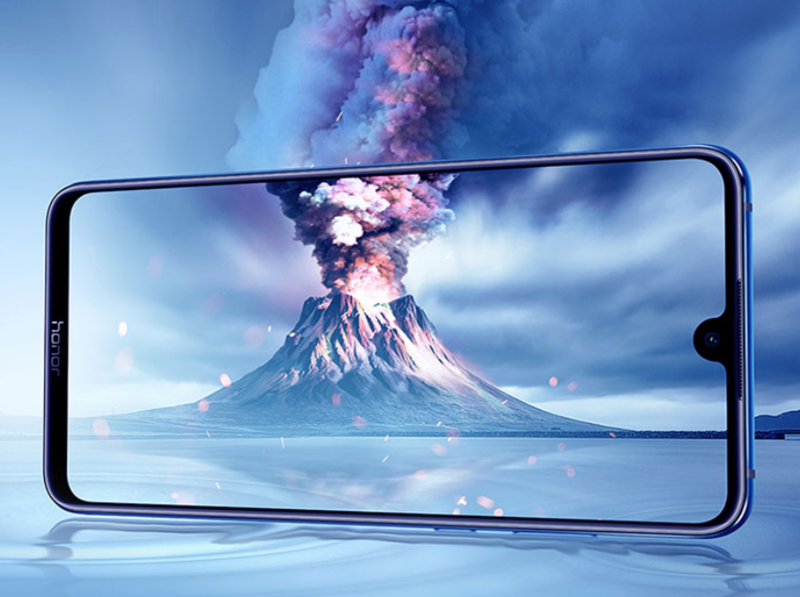 Huawei is ready to launch its premium mid-range Honor 8X lineup on September 5. The Max version will feature the Snapdragon 660 SoC and a 7.12-inch IPS LCD screen with a more discrete notch plus slim bezels. For now, only the 4 GB RAM / 64 GB storage version has been confirmed, but a 6 GB / 128 GB storage should also be available at launch. 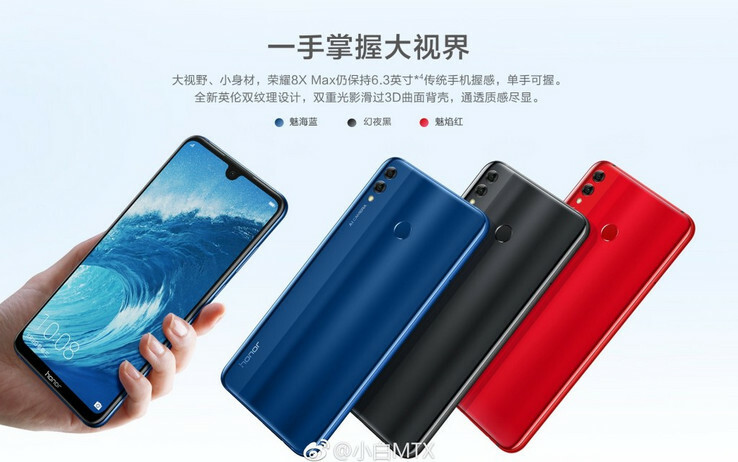 Already confirmed to be launched on September 5 earlier this week, the Honor 8X Max was also recently featured in a series of promo images from JD.com, which reveal most of the main specs of the smartphone. The leaked specs do not reveal the SoC, but this model was spotted in a benchmark last week, and it looks like Huawei is going to equip it with a Snapdragon 660. Since this is a Max version, the screen was known to be bigger than the non-Max, and now we have confirmation that it is a large 7.12-inch IPS LCD with a small notch that houses the selfie cam. Thanks to the slim bezel design, the phone will have a 90% screen-to-body ratio, making it as big as a 6.3-inch model, although it will weigh 0.46 lbs. The images also reveal that the front speaker is located on the thin upper bezel and the descriptions inform that it will double as a secondary Dolby Atmos speaker. RAM options for the 8X Max will probably go up to 6 GB, but the JD.com ads only mention a 4 GB version with 64 GB storage. The 6 GB option should also get 128 GB storage. Other specs include the useful 3.5 mm audio jack on the bottom side, a microUSB port and the 18W quick charger that allows 40 minutes of calls with a 10-minute charge. The back of the phone features a dual camera setup and a fingerprint sensor. Unfortunately, JD.com does not provide the real price for the 4 GB / 64 GB model.